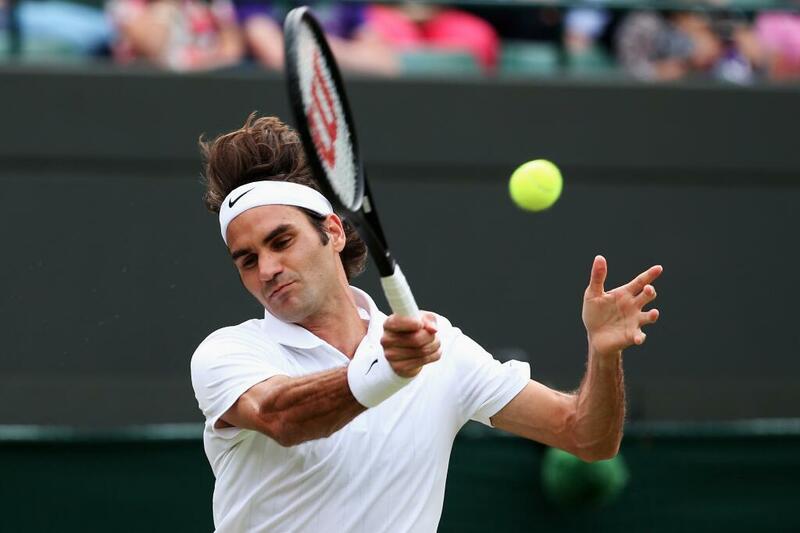 Behind eleven aces and forty winners, Roger Federer cruised past Tommy Robredo in straight sets, 6-1 6-4 6-4, setting up the first all-Swiss meeting at Wimbledon. The Swiss maestro took the opening set in a hurry, needing just 21 minutes to set the tone for the match. Despite Robredo’s upset in their last meeting at the US Open, the 7-time Wimbledon champion proved it to be a fluke with aggressive net play both on his serve and return. The 32-year-old Swiss won 29 of 41 points at net, and faced only one break point. He has held serve throughout the tournament thus far, and will face Swiss Davis Cup teammate Stan Wawrinka in Wednesday’s quarterfinals. It marks the 42nd grand slam quarterfinal of Federer’s career. Joining them amongst the last eight are Novak Djokovic (vs Marin Cilic), Andy Murray (vs Grigor Dimitrov), and Milos Raonic (vs Nick Krygios).